On their journey, which lasted exactly 552 days, they visited 10 Asian countries and experienced all sorts of extraordinary situations. 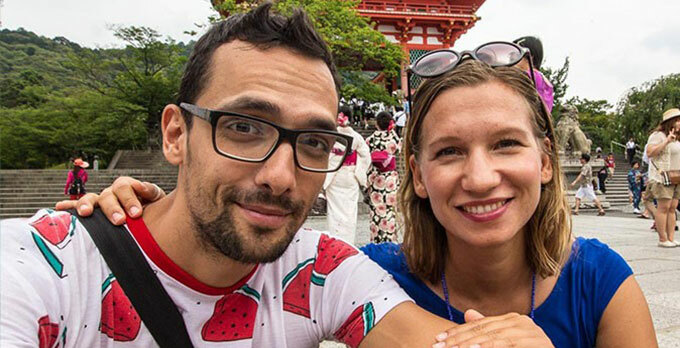 Their travel blog We just travel is full of exciting stories about their life in the muddy jungle of Mentawai, rides on local buses in Flores, snorkeling through the beautiful coral reefs of the remote Banda islands, visits to Myanmar’s stupas, culinary extravagance with a duck embryo specialty in the Philippines and small gems of Zen wisdom in Japan. In the autumn of 2015 they returned home. But not for long. Mic and Katja are in fact embarking on a new journey this month. This time their roadmap will take them to Thailand, Malaysia, Singapore, Indonesia, India, Japan, Iran and other places they might feel like visiting. But before they take off, they have shared some interesting travel tips with us which can help you plan your dream escape. Oh, another thing! As guest bloggers, Mic and Katja will be sharing fresh updates with us from their journey on our GoOpti blog for the next 6 months. Hooray! Who should we listen to when deciding where to travel next - our head or our heart? What advice would you give to a person who wants to turn a new page in their life and makes a New Year's resolution to go on a journey? M & K: When we are planning a journey, we try to be very decisive, setting up concrete goals. For most of us the problem always starts with finances. That is why firstly, we save enough money for the flight ticket. According to our experience, once the plane ticket is "in your pocket", everything else runs smoothly. However, with regards to the decision where to go, we trust in what our grandmothers would call our 'gut feeling'. Go where you gut feeling tells you to go. The world is in the palm of your hand. What should we take into consideration when deciding where (and how) to travel? M & K: First of all, have a chat with Miss Expectation. Talk to her face to face and be brutally honest. Travelling (except holidays behind the thick walls of prestigious resorts) is not only about pleasurable experiences. A visit to the beach of your dreams sometimes means spending 30 loooong hours on a rickety old bus and the soup, which looks so delicious on Facebook photos of your favorite blogger, may lead you to close encounters with the toilet the very next morning. And God forbid that there is a toilet anywhere near. How should we prepare for the trip? What are the essentials we should think of and how far in advance should we plan? 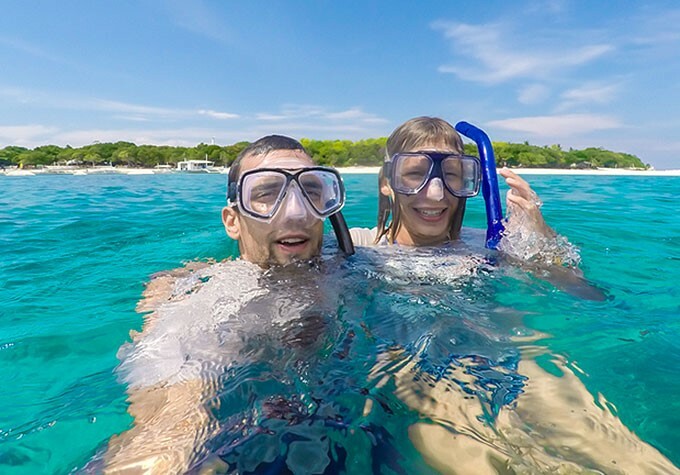 In any case, good preparation should never be underestimated as it can save you from many different bureaucratic, financial and medical complications, which can really ruin your trip. A little bit of common sense is always useful. Duplicate bank cards, visas, outgoing flight tickets, appropriate vaccinations ... It is never too early for these preparations. “Resfeber” or travel fever before leaving ... are you familiar with it? How do you cope? M: Our last trip was a one month vacation on the island of Zanzibar. And although we were previously travelling for a year and a half, I admit that two days before the departure I had diarrhea. But it was the 'good kind' of diarrhea! When you know that there is nothing wrong with you, it’s just a reaction of your body as it looks forward to something new. This expectation of the unknown is one of the most beautiful parts of each trip. Therefore, we are not trying to resist travel fever; instead, we embrace it fully. What are the most important lessons you get from the journey? Would you say that travelling changes one's view of life? M: I do not want to make it sound too esoteric, but to me travelling is like the best life lecture. Your body and mind are put in new and unfamiliar situations every millisecond of the day. The best you can get out of the journey is not the experience of levitation during meditation, or the total merge of your personality with your mighty super-ego. The best part of travelling is discovering who you really are. To get to know how you react to unfamiliar, new situations. Sometimes you are not pleased with the outcome, but at least you get the experience. Is a person different when traveling and when at home? M: Yes. Well, at least I may say so for myself. My everyday life in Ljubljana is teeming with OCD (Obsessive Compulsive Disorder) elements. For example, at home I wash my hands at least 50 times a day and all the time I feel that I need to go to the toilet. And once I get to the toilet, I always count while I'm in there! It may sound funny but in reality it can be quite frustrating. When I’m travelling all of these nuisances miraculously disappear. In your respective journeys, you use many different means of transport; buses, trains, taxis ... Where have you experienced the most comfortable travel, and where were you 'praying for your life'? M & K: Nothing beats renting a motorbike or scooter on some picture-perfect island. This is our favorite means of transport, allowing us to dive into the unknown. We need to mention also the Indian trains and the big airplanes. I personally love the latter, despite the fact that I suffer a severe fear of heights. This fascination might derive from the extremely friendly flight attendants, who will serve you with a double whiskey rather than a single! In terms of prayer; this is certainly not superfluous at some breakneck night journeys inside Indian rickshaws. M & K: Broken scooter in Kathmandu (Nepal). Any annoyances that happened to you during travelling? M & K: Just before reaching the heavenly Indonesian archipelago, to which we traveled for more than 5 days, we had all our photographic equipment stolen. M & K: In the tiny villages in Nepal. M & K: The realization that all we need for living is in fact the one-thousandth of all the things that we are convinced we cannot live without at home in Slovenia.